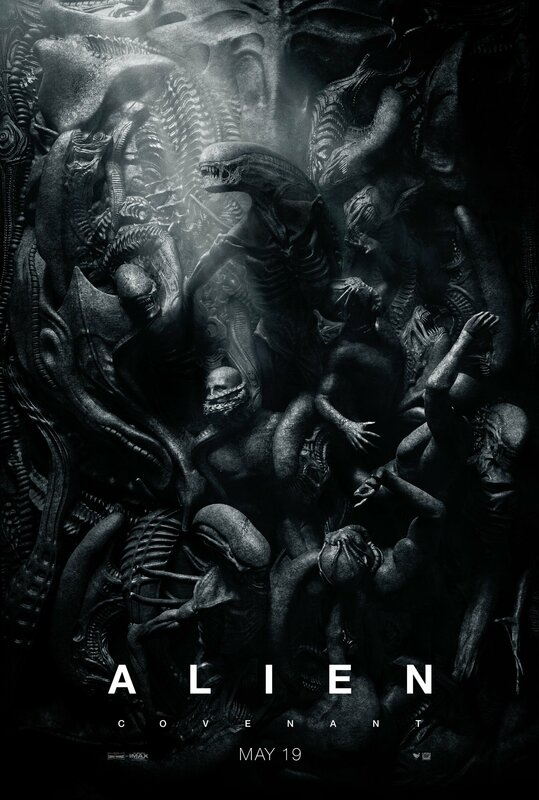 Catching up on some of the movies recorded on my PVR, I decided to watch the latest two movies from the Alien franchise: Alien Resurrection and Alien: Covenant. 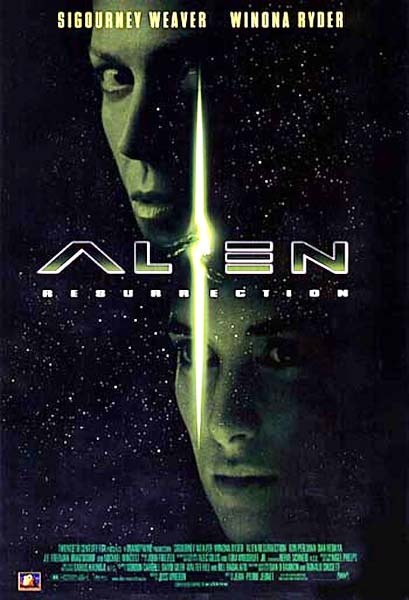 In this 1997 sequel of the Alien franchise, Ripley is brought back to life by cloning in order to deliver an alien embryo for an army mad-scientist to study. Of course, everything goes wrong and close quarter’s chases ensue. However, director Jean-Pierre Jeunet (Delicatessen, Amélie) is no Ridley Scott and the movie doesn’t have the thrill of the original and is riddled with inconsistencies. I’ll list two. First, cloned someone along with the parasite that infects her, and she keeps her personality and memories? Even the pseudo-explanations given to justify that doesn’t make any sense! Second, the alien queen switches from oviparous reproduction to viviparous in the middle of the movie, as she gives birth to the end-level monster which ends up so weak and pitiful that you almost want to champion him instead of the good guys. However, I like that the genetically-mixed Ripley, believe it or not still played by Sigourney Weaver, is such an ambivalent character that you keep wondering whether she’s the bad guy of the movie. I also like the character of Call, played by Winona Ryder. Despite those few positive aspects, the movie is barely entertaining. For once, Rotten Tomatoes seems to agree with me (critics rating at 55% and audience rating at 39% !). Alien: Covenant is the 2017 sequel to the Alien prequel, Prometheus, both directed by Ridley Scott. His experience and skills make for a story that is a more suspenseful thriller than the movie above, but after so many iteration, it unfortunately has nothing original left to offer. It’s the same old story. Katherine Waterston, who plays Daniels, the movie’s heroine, is a suitable replacement for Ripley. But in the end the movie received only an overall rating of 66% on Rotten Tomatoes.